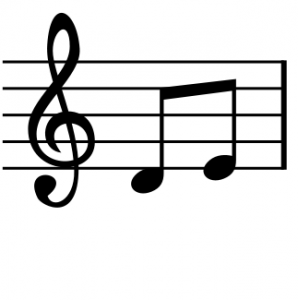 Home » Ideas » What If There Was Music in Every Class? What If There Was Music in Every Class? It’s boring! Class and school are often called boring by students in many cases. A while ago in my teaching experiences, I recognized that if I wanted students to get the most learning out of class, I must make it engaging and exciting for them. Although, there are an infinite number of ways to do that, incorporating music is one that I do and find powerful. I am not a musician or musically inclined, but I do enjoy music of different genres and select my music carefully on Spotify and Pandora. For my classes, I have created a Spotify list of songs that reinforce messages that I am teaching in class. Students could add a song to the list if the song is positive and shares ethical messages. Any songs with lyrics about drinking, smoking or degrading anyone, or has explicit language are not added. We play the songs before class starts, during transitions between activities and after class. During certain written reflections, I may play soft instrumental music to enable focus. The music transforms the environment, student’s moods and my energy level in class. I have even had students say that the song played earlier about love, caring or happiness is stuck in their head. I just smile as I think that is a great thing! Can you imagine if every class had some music in it? Can you imagine if music was always playing before people walked into meeting? It can transform any environment instantly. Share this post with a teacher and try it yourself.